You’ve probably already seen our 50 Best Albums & Tracks Of 2013 special in this week’s NME. You can check out NME’s 50 top tracks of 2013 here and find NME’s 50 top albums of 2013 here. 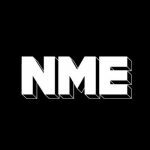 Over 30 NME freelance writers voted for the greatest albums and tracks of 2013 and here’s some of the Top 10 tracks that’ve been played incessantly on the office stereo this year by NME staffers. Let us know your top 10s in the comments below and check out the albums we picked here. Listen to NME’s official Top 20 Tracks Of 2013 here.